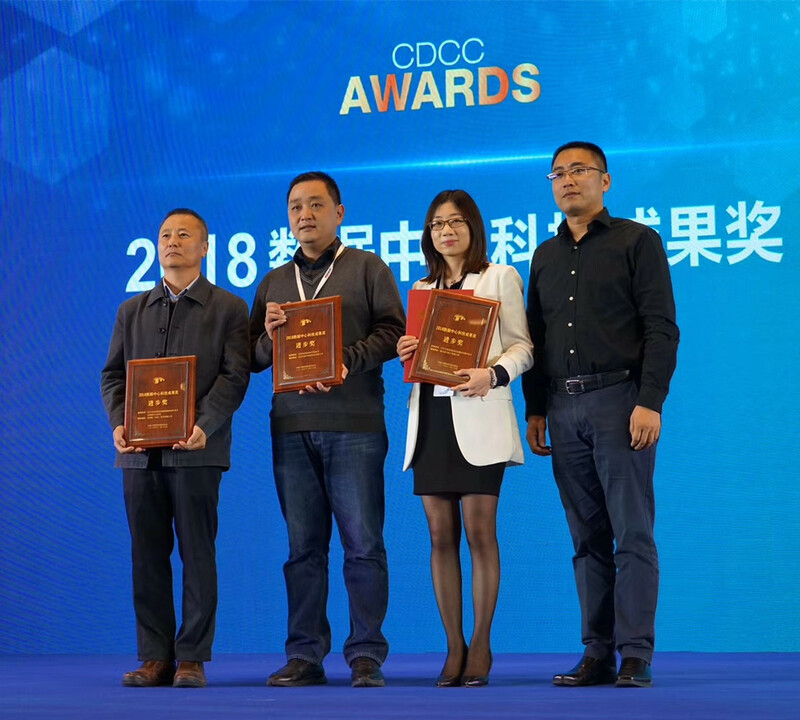 2018 China Data Center Committee Summit was held at the China National Convention Centre in Beijing on November 29, which was sponsored by CDCC. There are more than 2000 people from Internet, finance, IDC, operators,designing institute and other fields attending the conference. Our headquarter in China, Suzhou A-rack Information Technology Co., Ltd also was invited to the meeting. The most exciting thing is that Suzhou A-rack won Science & Technology Achievement Award- Progress Award by our new Full Fresh Air Direct Evaporation Energy Saving Technology. Our sales director, Ms. Eileen Chen (2nd right) received the adward on behalf of the company. It enormously inspired and motivated us to innovate to make more contributions to the boom of data center.